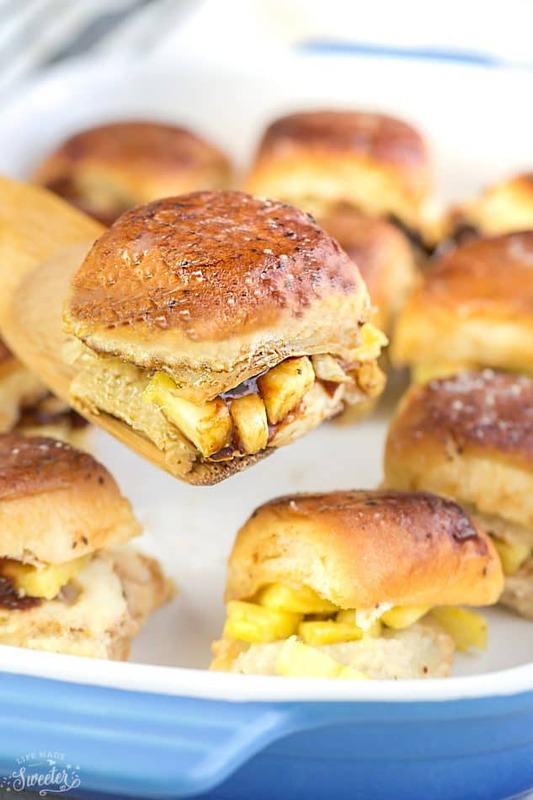 Hawaiian Chicken Sliders are always a great crowd pleaser. Best of all, you can make them in less than 30 minutes with tender chicken, sweet pineapples and gooey cheese. 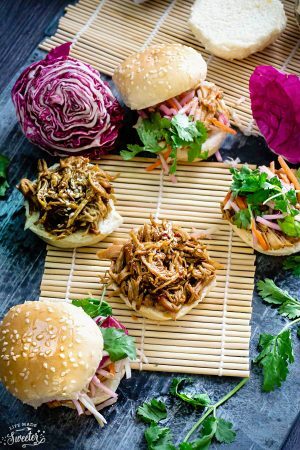 These Hawaiian Chicken Sliders are another easy recipe you can whip up. I love that you can make a ton of different variations and can customize each one using what you have on hand. The best part though? 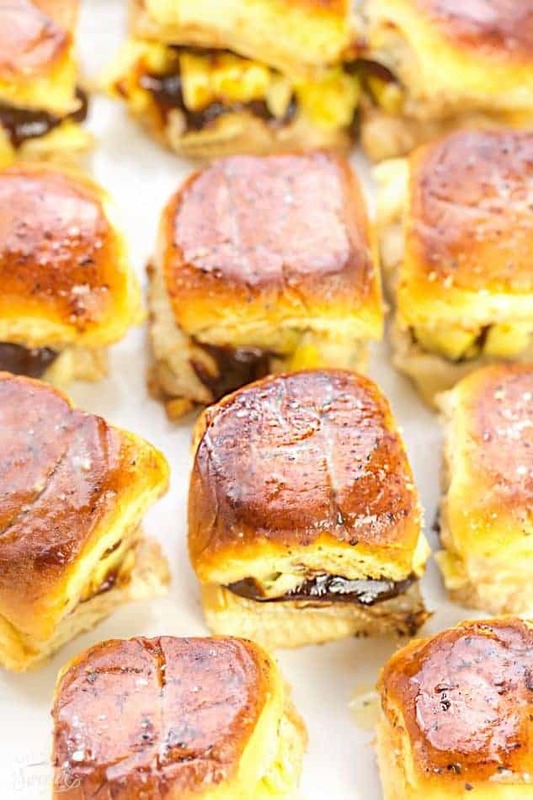 These sliders come together CRAZY FAST when you use a rotisserie chicken. Or you can also cook chicken breasts on the grill or in your slow cooker and shred them — still easy! 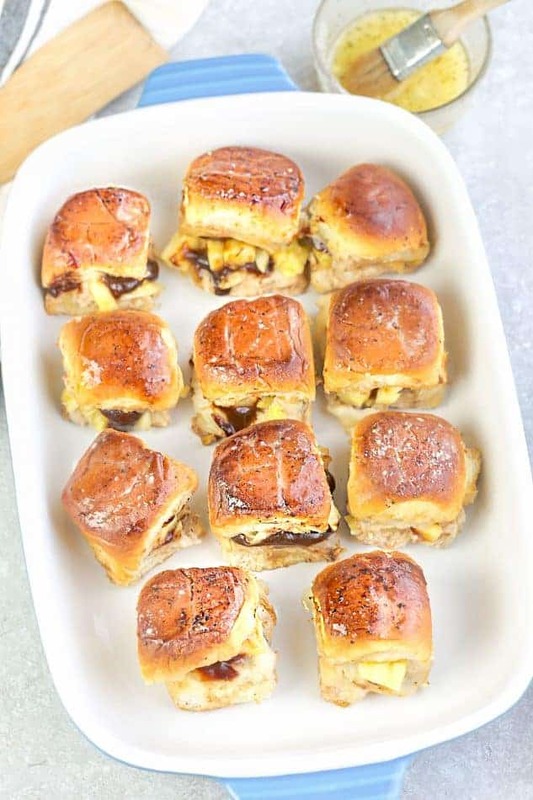 Place the slider buns on the bottom of a greased casserole dish. 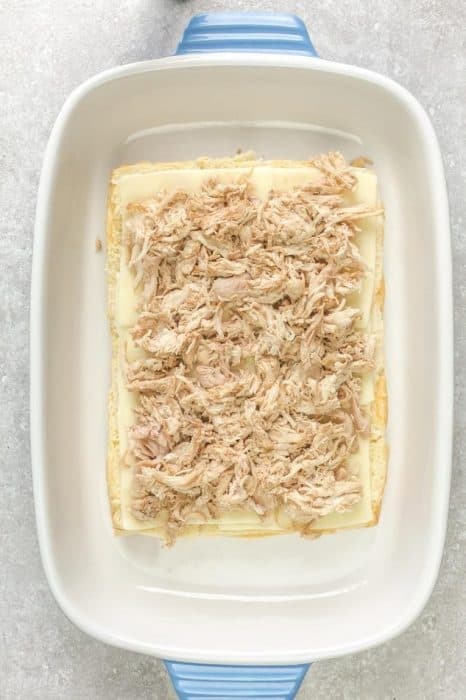 Top with mozzarella cheese, shredded chicken, fresh pineapple chunks, a layer of provolone slices and your favorite barbecue sauce. Place the top buns in on top and brush on some melted garlic butter over everything and sprinkle it with a little salt and black pepper. That butter seeps into the bread as it cooks and turns it into an amazing garlic bread. 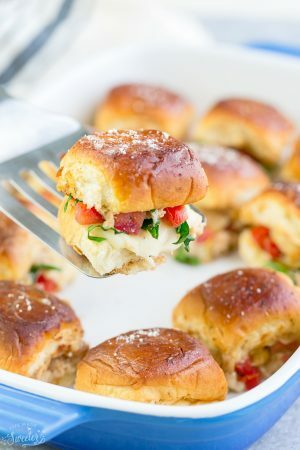 These little gems would be a great addition to summer parties, events, game days, or as an after-school snack. In a large bowl, toss the shredded chicken with salt, pepper, soy sauce and minced garlic. Place slices of mozzarella,on the bottom layer, top with shredded chicken followed pineapple chunks. Top with slices of provolone cheese and some barbecue sauce. 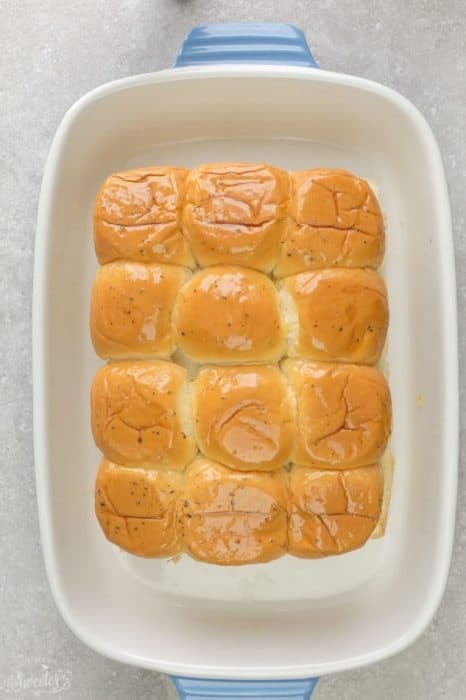 Place the other half of the rolls on top. Mix together the butter with garlic powder and poppy seeds and brush over tops of rolls. Cover with tinfoil and bake in preheated oven for about 5-8 minutes or until cheese is melted.